An expert team of hairdressers, colourists & stylists, led by creative duo Marcus & Shona, at TWO, Southsea's best hairdressers. What makes TWO unique, is the team who work together to bring their passion, creativity and commitment to great hair, to every guest they see. Whether you’re looking for a blow dry for a night out, or a complete hair transformation, you can be confident our team of expert hairdressers will help you achieve your hair goals. One half of the TWO duo, Marcus has 15 years experience in all aspects of hairdressing in leading salons in Southsea and Portsmouth. 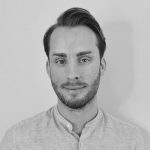 Honest in his approach and a strong attention to detail, Marcus will expertly cut, colour and blow-dry your hair into a manageable and natural style, which you can achieve day in day out. As well as working in salons, Marcus has extensive session work experience including working with specialist British Bridesmaid brand Maids to Measure. With Rosie Huntington-Whitely as his hair icon, it’s clear to understand why Marcus is a firm believer in less is more. 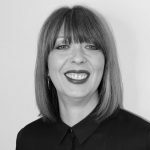 The other half of the creative duo at TWO, Shona brings 30 years of experience in hairdressing from some of the best salons in Edinburgh, down to the South Coast. Shona’s experience spans all aspects of hair styling from colour to cutting and restyling to complete transformations and everything in between. Shona also had an influential role in the development of the training offering at leading Edinburgh salon, Cheynes. Evident from the moment you meet her and influenced by hairstyles such as Charlene Spiteri’s iconic cut, Shona has an edge to her own style which she expertly brings to the salon by developing classic styles with a twist. Sarah is TWO’s very own Colour Specialist. 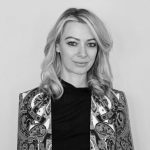 Educated and taught by some of the industries best, Sarah’s experience spans a number of London’s leading hair salons including Toni & Guy, Trevor Sorbie, Paul Edmonds and Brooks & Brooks. Sarah aspires to give the best colour experience to everyone she works with to ensure the best results are achieved all round. Using her wealth of experience and well-trained eye, Sarah will work with you to help choose the right colour for you, resulting in beautiful and healthy hair, expertly coloured to enhance natural tones, texture and contours. Why should London get all the specialists? Well, now they don’t… TWO has their very own! 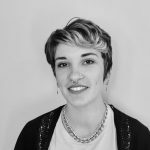 Lucy is an award-winning Cutting Specialist who joins TWO with a wealth of experience and an unparalleled attention to detail. Trained at the prestigious Vidal Sassoon Academy, Lucy treats all her work like art, focusing on the blend of cut, colour and condition of your hair. Every consultation Lucy undertakes is bespoke, enabling her to establish shapes and angles to use that will complement face shape & bone structure, and creating a style that fits into your day-to-day lives. Book an appointment with Lucy, and we are confident you will achieve beautiful, natural hair and that ‘Just stepped out of a hair salon’ style day in, day out. 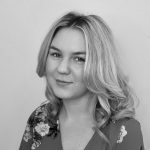 Having been awarded Junior Stylist of the Year when she first started her career in hairdressing, there is no doubt that Naomi brings with her heaps of experience and passion to her role as Creative Stylist at TWO. Naomi’s expertise lies with being able to work with clients to achieve a hairstyle which is fun and stylish, yet practical. Practical in that, Naomi is passionate about ensuring the hairstyle you leave the salon with, is achievable ‘day in, day out’ at home. 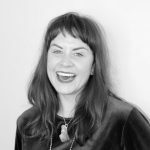 Cool by nature, Naomi brings a sense of fun to the ‘every’ day at TWO, and is proud to be working in the heart of Southsea at a salon and with a product range, which is as focused on environmental sustainability as she is. Yasmin joins TWO on her apprenticeship and is our dedicated Salon Assistant. Helpful, willing to learn and excellent customer service, Yasmin is demonstrating a natural passion and skill for hairdressing and we are confident she will forge a successful career in the industry. If you are lucky to get Yasmin washing your hair, don’t forget to ask for a head massage – she’s the best in the salon! Effortlessly stylish and a natural people person, Sally is TWO’s Front of House. 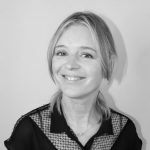 Having previously styled royalty and celebrities, Sally is an expert in meeting the needs of our clients, as well as ensuring the salon runs like clockwork. To further compliment our offering, TWO has collaborated with Birute Thomas, a Professional Make-Up Artist who like all of the team at TWO, works with you to enhance natural beauty. Taught by award-winning makeup artist, Kristina Gasperas, Birute uses the best techniques and products to create healthy, radiant and naturally beautiful looks. Committed to delivering a first class service, Birute is always up-to-date with the latest trends and techniques. So whether it’s a wedding, special occasion or just to better understand how to enhance or create a natural look, Birute specialises in making you feel fabulous. Book a master class with her today.